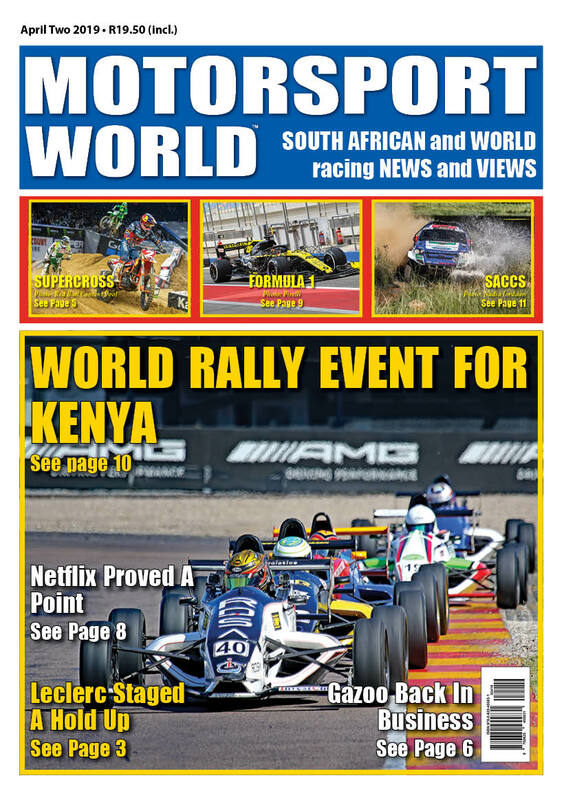 The latest edition of Motorsport World is now on sale at Spar – Pick n Pay – garage shops and airports. Fanie and Zak du Toit delivered an exceptional performance on Saturday 14 November 2015 when they steered their FM Civils class A Mazda Rustler LDV 2.0 16v to overall victory on the UNIREF 27th Club Mykonos Gymkhana in Langebaan on the Cape West Coast. Fanie and Zak du Toit delivered an exceptional performance on Saturday 14 November 2015 when they steered their FM Civils class A Mazda Rustler LDV 2.0 16v to overall victory on the UNIREF 27th Club Mykonos Gymkhana in Langebaan on the Cape West Coast. Their second success at this iconic venue as they also won the season opening UNIREF 26th Club Mykonos Gymkhana Langebaan. Though this success represents a second overall WBMK title the fact that Fanie did so with his 12 year old son, a grade six scholar at Worcester North Primary, as navigator made it so much sweeter. In a season that proved testing at all levels this was only their second victory of the season but quite fittingly it also enhanced their status as the 2015 Witzenberg Motorklub Gymkhana Champions. Coming into the 27th Mykonos Gymkhana the popular father and son combination led the points chase by three and it was no secret that the challengers would come out guns ablaze. Quadruple WBMK Gymkhana Drivers Champion, Izak van Zyl Jnr, and twice WBMK Gymkhana Navigators Champion, Dewald van der Merwe, have won Mykonos on three occasions, Mykonos 22 – 23 – 25, and the Dynotech class G VW Golf MkII GTI 2.0 16v Turbo was running on maximum attack from the start. Despite setting very impressive times the former champions had to accept second place for the day and the championship. Completing the podium was without doubt the most exceptional performance of the day as Jan van der Vyver and Liezel Oosthuizen, winning navigator on Mykonos 17, posted near impossible times in the Race-Tech class D VW Golf Citi 1.4i. Yes, it does run a limited slip differential and the suspension have been tweaked to perfection, and yes, they ran new sticky tyres – but it remains a 1400cc against the heavy hitters of the sport! Jan rewarded as the Most Impressive Driver of the Day. If ever it proved difficult to make this award the stunning efforts of Duncan Jepthas and Nashrené Schloss in the class A Toyota Corolla Sprinter 2.0 was equally impressive as they finished 0.04sec behind the rampant Golf. Duncan not only prepares this car for Nashrené Schloss, he certainly proved it has the potential to win at Mykonos and this despite the fact that this man drives with the use of only one arm! One simply has to stand back and admire achievement. An example to all! Having taken three consecutive overall victories leading up to the 27th Mykonos must have left Rafique and Natheer Firfirey quietly confident of a good result as their Turbocharged AHI Racing class G Mini Cooper S 1600 have established itself as the supreme gymkhana weapon, but then, this was Mykonos. Experience speaks volumes at Mykonos and possibly this was their only weakness as they lacked their recent consistency and even bounced the silver rocket off a pavement enroute to fifth overall. Nashrené Schloss and Tania Vermaak confirmed the impressive status of the green Toyota Corolla Sprinter 2.0 by finishing sixth overall and first All Ladies crew home in class I. Just to make this more impressive Nashrené Schloss and Nieyyaas Mohamed added seventh overall and third in class A to boot. Returning to the WBMK Gymkhana Championship fresh from a season in the Makita Supercars at Killarney the talented lady driver certainly did not appear shy to ruffling a few male ego’s. Werner “Slideways” Koekemoer won Mykonos 2 and 3 with a Opel powered Supercar before he discovered he does not require a windscreen. Uncharacteristic mechanical maladies saw Kobus Wilson Jnr and Werner McDonald work harder on the Worcester Diggerloader & Tippers class F Datsun GX DeLuxe Sedan 1400 in one day than they had done in the past year. Recovering to eighth overall and first in class something of a major achievement after a very rough day. The brothers-in-law still proving consistent in their times despite their problems. Dewald van der Merwe had son-in-law, Izak van Zyl Jnr, navigating in the Dynotech class G VW Golf MkII GTi 2.0 16v Turbo and given the standard of competition present “Skoonpa” looked deservedly satisfied with ninth overall after some gutsy driving. The man behind the development of the AHI Mini’s, Leon Engelbrecht, made a rare appearance with Morné Roux navigating and they were well satisfied with tenth overall as they clearly suffered from a lack of seat time in the silver class G Turbocharged Mini Cooper S 1600. Pierre du Plessis and Walter van Dyk almost broke into the top ten but a puncture after hitting a pavement saw the Du Plessis Auto class B Toyota Conquest 1800 16v combination settle for eleventh overall. Sporting a completely new set-up on the Supercharged class G AHI Racing Mini Cooper S 1600 Natheer and Rafique Firfirey found themselves restricted to twelfth overall. And it was not through a lack of trying as they too bounced off the pavement on their final run. Anton Smit and Tania Vermaak looked good for a top ten finish but try as they might the Trysome class F Datsun LDV 1600 could not produce the consistency required. One good time is simply not enough at Mykonos and the opportunities are few as each team can only complete two runs either side. Thirteenth overall never the less an excellent achievement. In motorsport terms it is not pressure it is a sentence. Fanie du Toit absolutely speechless after his third run as he was concentrating so intensely on his driving that he simply forgot to breath! Walter van Dyk and Pierre du Plessis fourteenth overall with the wwezing class G VW Golf MkI Turbo 2.0 16v with Jacques du Plessis and Kobus Wilson Jnr fifteenth in the Du Plessis Auto class A Toyota Conquest 2.0 20v. In terms of Die Stoor – this was a significant achievement for Pierre du Plessis and Walter van Dyk to both finish ahead of Jacques and Kobus. sponsor the motorsport aspirations of his sons for 2016 as he was beaten fair and square. Guiseppe Murray and Jan van der Vyver swopped sides in the Race-Tech class D VW Golf Citi 1.4i and Sep impressed enroute to nineteenth overall. F4 pospect for 2016, Eugene Denyssen, had Donevan Denyssen as navigator in the UNIREF class G Ford Fiesta ST Turbo 1600 and respectfully favoured good relations by finishing twentieth overall – behind brother and Dad. Masood Dangor and sister, Aatera Firfirey, twenty first overall in their cabriolet class G Mini Cooper S 1600 with Johann Zulch and Cobus Viola twenty second in the Ceres Toyota class E winning E30 BMW 325iM. Ladies combination, Aatera Firfirey and Liezel Oosthuizen, twenty third overall in their cabriolet AHI Racing Mini Cooper S 1600. Marius Ellis and Francois Mostert completed their second ever gymkhana in a respectable twenty fourth position overall with their neat class A Opel Kadett GSi 2.0 and was acknowledged as the Best 1st Time Mykonos crew. Masood Dangor and Ashir May shared the fourth AHI Racing Mini and the charcoal normally aspirated Mini competed the event in twenty fifth spot overall, first in class C. Aatera Firfirey and her brother, Masood Dangor finishing hot on their heels in the hard working cabriolet class G AHI Racing Mini Cooper S 1600. Swopping sides Francois Mostert and Marius Ellis finished twenty seventh in their neat class A Opel Astra 2.0 with JD van der Merwe and Danye Louw twenty eighth in their Vredenburg Motor City class B Opel Astra 1800. Liezel Oosthuizen and Tania Vermaak concluding their season in class I with twenty ninth place overall in the standard Toyota Yaris 1.3 followed by Desmond Harding and Tania Vermaak in the 7Stars class F Chana LDV 1.3. Driving the standard Toyota Yaris 1.3 as class D entry Liezel Oosthuizen and Tania Vermaak finished thirty first overall with the 2015 class C champions, Hennie Hoffmeyer and Morné Roux, pleased as punch to bring the old Nissan Sentra 1600 home in thirty second spot overall. A broken sideshaft eliminated the crowd pleasing Dynotech class G Toyota Corolla V8 4.0 of Izak van Zyl Jnr and Dewald van der Merwe but they still managed thirty third spot. Tania Vermaak and Liezel Oosthuizen celebrated their return in the standard VW Golf Citi Sport 1.4i with thirty fourth overall whilst Ryno Hough and Arnold Nel drove their thundering 6.8 V8 Ford F100 to thirty fifth overall. Hennie Odendaal and Barend Spies unfortunately not classified as finishers having retired their class A VW Caddy 2.0 with throttle problems. Anton and Dario Liebenberg found navigation somewhat intimidating on debut in their neat class A Lotus 7 Ford 2.0. Danye Louw and Jacques du Plessis started off spectacularly with their class E E36 BMW M3 but the engine cried enough. Hilton Africa and Chanli Mostert also forced to retire their class C VW Fox 1600 with terminal engine maladies. Duncan Jepthas then proceeded to put the cherry on top of his achievements by posting the outright fastest time of the day during his single seater entry in the Toyota Corolla Sprinter 2.0. Just 0.01 seconds faster that Fanie and Zak du Toit. Jan van der Vyver having to accept second place in class H with the Race-Tech VW Golf Citi 1.4i with Izak van Zyl Jnr third in the Dynotech class G VW Golf MkII GTi 2.0 16v Turbo. Driving the same Dynotech Golf it was Dewald van der Merwe in fourth spot followed by Rafique Firfirey in the AHI Racing Mini Cooper S 1600 Turbo. Eugene Denyssen sixth in the UNIREF Ford Fiesta ST 1600 Turbo with Kobus Wilson Jnr a somewhat dejected seventh. Izak van Zyl Jnr managing to post enough times to place the Dynotech Toyota Corolla V8 4.0 eighthbut both Hilary denyssen and Danye Louw failing to be classified as finishers. So easy to forget that in order to enjoy a stunning season of motorsport the assistance of a very dedicated group of volunteers are required with every single event and at Mykonos the unique twin format puts even more pressure on those behind the scenes. We are indeed fortunate to have UNIREF in support ate every level as their dedicated team consisting of André, Bradley, Pieter, Selwyn and Chris spent many hours on Friday preparing the tyre barrier on Lane A.
André Bester and his Club Mykonos Resort Maintenance team did a sterling job in preparing the Documentation venue, spectator stands and much more. Not to mention the fact that long after everyone had returned home these same people would be back to return the venue to normal status. On behalf of every competitor and spectator we salute you for your contribution towards the success of the UNIREF 27th Club Mykonos Gymkhana Langebaan. Of course with positions determined by less time than that required to blink the Jayen Timer and accurate scoring provided by Neville Gleeson and André Mitchell have to be applauded as no matter what this system always delivers on the day. For the very first time in sixteen years or 110 events the Jayen Timer recorder a dead heat between two competing crews down to 100th of a second and the fastest time of the day differed by just 0.01seconds, as did the Most Consistent! Blink and the opportunity is gone forever! On the day the dedication shown by the on track marshals also earn our respect as it becomes a very long day for all. Start and Finish Marshals, Dewald and Meghan Nortjé, each controlled a lane and though always friendly they occasionally had to choice but to award a jump start penalty. Judges of Fact really have a tough task as they have to monitor every move on track and on this occasion the new team consisting of Carmen Nortjé, Estiaan Booysen and Arné Britz impressed under the guiding hand of André Brinkman. Pit Bull duties went to Nico van Zyl and by the end of the day he was in the pits suffering from exhaustion. Documentation can be very frustrating and once again Anette Vermaak and Meghan Nortjé did the WBMK proud. Clerk of the Course, Pierre van der Westhuizen, and MSA Steward, Robert Marle, satisfied with results whilst spectators were impressed with the crisp clear sound provided by Unicom Services. Marius Bester providing accurate commentary throughout the day. Only fifteen drivers can claim to have their name engraved on the coveted Club Mykonos Gymkhana Floating Trophy and only six have won on more than one occasion. Mike Nathan still holds the record of six drivers titles as King of Mykonos with Izak van Zyl Jnr on three. Anton van Bosch, Werner Koekemoer, Dave Köpke, Brennon Green and Fanie du Toit each boast two crowns whilst Peter Degens, Nicholas Slabbert, Cobus Erasmus, Peter Petersen, Johnny de Beer, Anton Slabbert, André Dreyer and Duncan Jepthas have each worn the King of Mykonos crown once. Interestingly enough Mykonos have now been won eight times by a Mazda Rustler LDV and should one add the two victories by the R100 of Dave Köpke Mazda can claim ten victories, but Volkswagen reigns supreme with twelve crowns! Opel can claim four if we include the Supercar and Lotus that was powered by Opel engine, Subaru claiming a single crown. 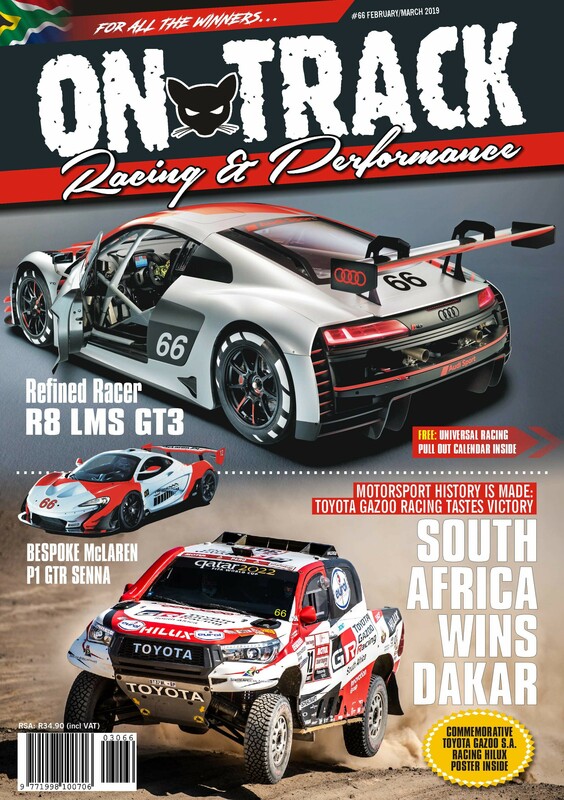 UNIREF announced their continued support in 2016 during the prizegiving at the Marina Terrace and with three dates confirmed at Club Mykonos Langebaan the sevententh season of Witzenberg Motorklub Gymkhana holds much promise! As the 19th King of Mykonos, André Dreyer so aptly puts it – Mykonos is nie vir sussies nie! MSA Publishes media releases from a host of different sources on our website as a service to the sport. It is not practically possible to vet/approve every release that is published. Some news items and articles are written by correspondents and do not necessarily represent MSA’s views.